David v Goliath. The difference in weight terms is even bigger. 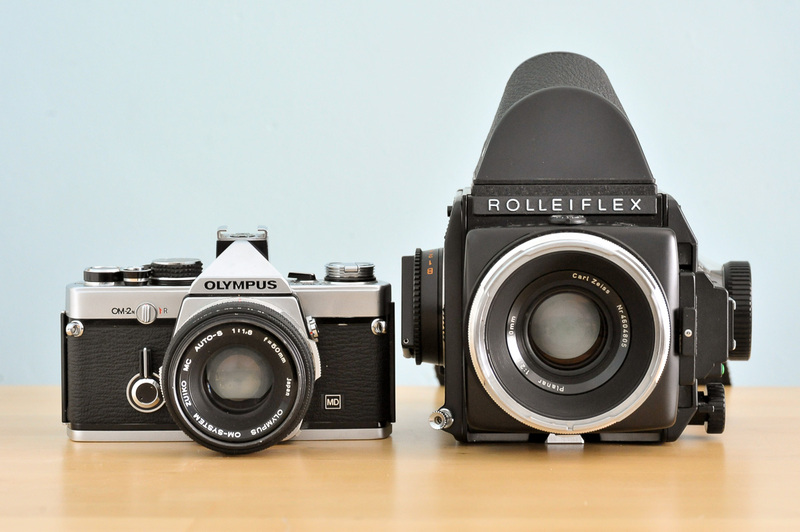 My pal Phil and I have been swapping emails on the subject of hand-holdable 6x6 SLRs. Phil's recently picked up a Hasselblad 500CM and I was asking him whether it was OK without a tripod to anchor it. He's just started using it and I think is undecided on the matter. We've been debating, as photography and camera enthusiasts are wont to do, about whether it would make more sense lightening the load and just sticking with 35mm. Phil seems to be committed to medium format but I'm blowing in the wind on the matter. The one big drawback of my Rolleiflex SL66E is its size which, I find, makes it too unwieldy for handholding. The SL66E with the standard 80mm f2.8 Planar, 120 back and the 45 degree prism I have for mine weighs in at around 2.5kgs. To put this into some sort of perspective, an Olympus OM2 with standard lens is a bit over 600 gms. Obviously, this is an apples and oranges comparison but it's just to give those readers who've never handled a 6x6 SLR an idea of what we're talking about. A 500 CM like Phil's except he has a 60mm Distagon in place of the standard lens. So, effectively, lugging an SL66E around all day is like strapping four OM2s to your hand. That's the main reason I always use a tripod with the big Rollei. I find it easier leaving the camera bolted to the tripod with the whole thing resting on a shoulder in between photographs. Much as I love the camera and its Zeiss lenses, its lack of portability is a little off-putting and results in me not using it as much as I should. So I started wondering if there was another 6x6 SLR that might be easier to use handheld in the field. Phil's Hasselblad CM with standard lens and waist level finder weighs 1.55 kgs. That's a saving of around 2lbs over the SL66E - or a bag of sugar - but it's still a fair weight to schlep around all day. There are various other 6x6 SLRs including the Bronica SQA range, the Kowa Six and 66, the older Bronicas such as the S2A and the Pentacon 6 but they all seem to be around the same sort of weight. It's at this stage that a 645 camera starts to become appealing if you want to do a lot of handheld shooting. 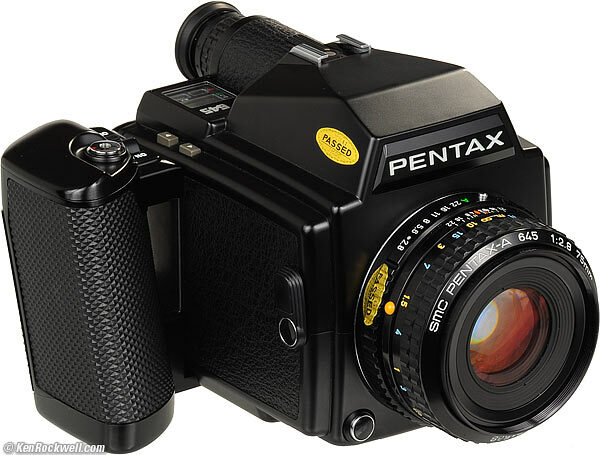 The Pentax 645, for instance, was really designed as a handheld camera. It has a built-in prism for eye-level shooting, motor drive and auto exposure. Best of all, it handles just like a slightly bigger version of a 35mm camera with motor drive attached. A 645 pictured on test at Ken Rockwell's site. Build quality wise, it's not in the same league as the likes of the SL66E or 500CM, both of which are engineering masterpieces. There are more plasticky feeling parts and I doubt you'd be able to use it to hammer nails the way you could with the other two. It is MUCH cheaper, though, which is important as Pentax no longer supports the 645 from what I can tell and it has some electronics in there that won't last forever. It's much cheaper buying another working body than having a broken one fixed by an independent repairer. But, ask me which of the three I'd prefer to use off tripod and the Pentax would be an easy winner. The Zeiss lenses for the Rollei and Hasselblad have a great reputation but the Pentax optics are easily good enough for critical work. There are 645 alternatives from Mamiya, Contax and Bronica as well but, although excellent, I don't think any would feel as good in the hand as the Pentax. Yes, the 645 negative is obviously a bit smaller but that's only an issue if you're intent on shooting squares. Crop a 6x6 neg and you're down to something around 6x4.5 anyway. The big question, of course, is what's wrong with using a tripod? Shouldn't an SL66E be sitting still to get the best out of those Distagons, Planars and Sonnars? The answer is, yes it should be on a tripod. 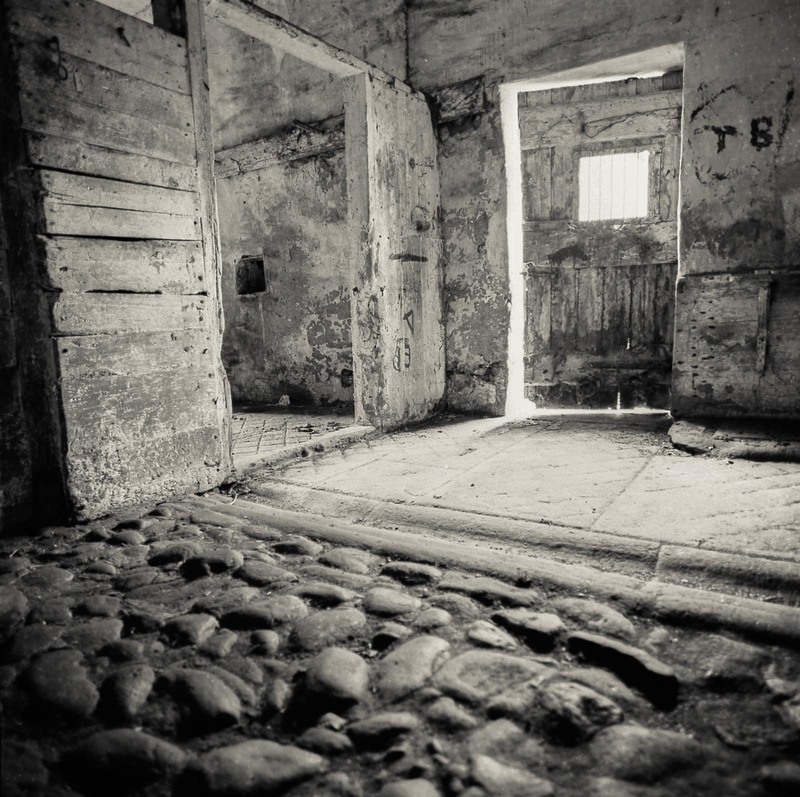 As I've written before, I find it more and more of a hassle to set up a camera on a tripod as I get older and my "images" aren't as satisfying from a creative point of view. the big question is why are you not considering a TLR ? if you want a portable 6×6 camera to carry around all day a TLR is a no brainer. I've actually got a few TLRs, Steve. They're great if you're using them as a walkabout or street camera. With this post I'm thinking more about when I go out "fully loaded" for landscapes or similar. The SL66E system I have has the mass of a small planet. One option medium format really opened up for me is the waist level finder. Among other advantages it's much easier to cradle a heavy camera and look down than to use arm strength to hold it up eye level. I've been able to comfortably hand hold the beastly RB67 this way, and now that I've picked up and old Bronica S2A I don't have to think twice about going hand held. That's a good point Joe. I've often thought about a wlf but they don't come up too often. I think they're also easier to focus when using the flip up magnifier. The 6X6 I use the most is a Zeiss Nettar. It was the cheapest version with a 3 element, 75mm f6.3 Novar, with front element scale focusing. Mounted in a 3 speed + B Vario shutter. Given all those limitations, if the sun is up you can walk around and take pictures. (note: it really helps if you can stop down to f11) and folded up and at 512gm. loaded with film it's a 6X6 in a cargo pocket. I've only held a Pentax 645 once but I didn't think it was that comfortable to hold. The guy who owned it didn't seem to mind. I can carry my Contax 645 for hours without a strap if I shift it from hand to hand occasionally while walking around. The grip is very ergonomic and I can shoot with one hand if I'm feeling silly/lucky. If I'm careful I can get sharp photos at 1/60th of a second with the 80mm lens. That said, I prefer to use the camera on a tripod to get the best quality photos and the tripod is almost a necessity with the 140mm lens. The big problem with the Contax is that it's still quite expensive. Bruce; you are going down a slippery slope. Continue and eventually you will that digital is easier and that cell phone photography is easier still. Sure, both are, but what does that have to do with the price of tea in China, as they say? Why stop arbitrarily at going to a tiny, hard to work with in the darkroom negative? Soon it may bite your fancy how inconvenient it is to change film every 36 shots. Slippery slope I say, again. Resist. Remember the call and get your film hair shirt back on! We, your loyal readers don't mind you suffering for your art. Really. In fact its the expected, and entertaining thing. I would advise a nice stout three kilo Berleback tripod for that marvelous Hassy. Now, I do have a few more bits of valuable advice, however it is getting hot here on my front porch, my armchair's not as comfortable as it once was, and I'm out of beer, so I must get going. Keep up the good fight! I've been very happy with the Pentax 645, though it took a little while to decide if it was working out for me or not. It definitely lends itself well to handheld work given the right film and light, though I still prefer to use a tripod when I can (that holds equally true with my TLR and 35mm gear though). Also wouldn't knock the build quality, having used this one for a while now. The body shell may be plastic, but it's not the cheap tacky kind, and the original manual focus lenses are mechanically just lovely. That so many of these are still working perfectly after years in the hands of wedding photographers and the like eases my worries about the longevity and of course the cost is hard to beat so I can easily justify getting a second body as backup. My one real complaint is that 1980s calculator-inspired interface. It works fine, but feels clunky. Try a bessa llll 667 lightweight rangefinder 6x7 120 film. You can use 6x6 or 6x7 for street work. I used a Hassy 500C and a SWC on the street. But I preferred my Leica M3/4 or Nikon F for street work. If all I did was street portraits then the 6x6 would be great. Beautiful IQ! Inside the house, the 6x6 was always on a tripod. I preferred natural light. I use my Hasselblad 500CM all the time hand-held, but with a good Hasselblad hand-bracket and only for circumstances in which hand-held is needed, like when I shoot photos of my 13-yr old son and his friends in the skateboard park. Otherwise for scenics, urban landscapes and natural landscapes and such it's on a rock-solid sturdy tripod and all shots taken with mirror lock-up. The Fuji giant rangefinders are very hand-holdable. I have used both the GW690 and the GSW690 mostly off a tripod with very nice results. Some people don't like the "thunk" of the shutter as it isn't very stealthy, but I happen to find it quite pleasing. So how about it Bruce? Shoot ANY of your 35mm camera's handheld, side by side against your Rollei SL66E on a good tripod with cable release. If you want some more red-dot trinkets, fine. Sell the children and get a Visoflex or some of those things called OOKI and BOOTI. I had understood that the attraction of the Leica was walking about unencumbered by extra kit. Perhaps a 50mm in one pocket with a couple of spare rolls in the other and your hands free. If you want a bag of heavy stuff on your shoulder – that's what Nikons are for. In extremis, sell the Saab. 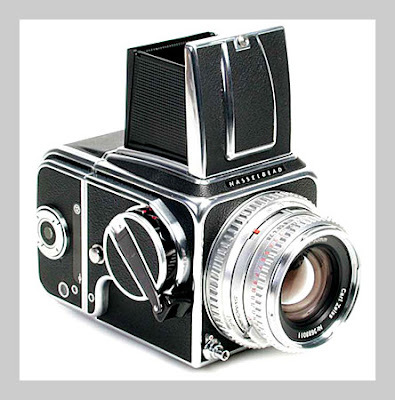 But unless you are trading it in for a similar Hasselblad outfit, don't sell the Rollei. Totally off-topic, but I was looking at the picture of your OM2n. I have one just like it, only in black. I don't suppose there has ever been a perfect 35mm SLR, but that one comes closest, for my money. Bruce - I think you would regret it, however, as you know, if you ever want to donate it, I would more than happy to accomodate the SL66! I'll probably surprise everyone reading this, but a Hasselblad with the 60mm Distagon can comfortably be supported by a large Leitz ballhead and the Leitz table top tripod. Not only does it support it, but such is the nature of the TTT that it forms a surprisingly solid and utterly adaptable grip - allied with a neck-strap, you get something that is tensioned and supported - it's a Killer Kombo! I know you're swithering about your MF stuff, but having developed 3 films now all taken with Victor, I just about reckon I am about to leave 35mm behind . . it has affected me that much. Oh and Olly the Rollei has risen from the grave, so I've re-fitted the 16-on kit and now have a light and wonderful walkabout camera too . . . I use my Mamiya RB67 handheld quite frequently, never had any problems, which may also be for my love of ISO 400 films. Two years ago I was given a Mamiya 645 1000s, complete with WLF, prism and left hand grip, but I never got warm with the 4:3 ratio and though it was smaller, I (subjective) never felt it was so much lighter than the RB67 to justify the format loss. I use a Mamiya RZ67, often on a tripod, occasionally handheld, and sometimes with a monopod. The monopod makes a good compromise, especially when used with a waist level finder; I can comfortably use 1/30s with a monopod which opens many photographic opportunities, especially when using ISO400 film. The monopod is especially useful if you're photographing somewhere that a tripod might cause an obstruction, e.g. among the flowerbeds in a public garden. Since the RZ has a revolving back, I have no need to use the camera vertically and have removed the head from the monopod and attach the camera directly to the 1/4 inch screw on the top of the monopod. The camera+pod can be comfortably carried around together. Also, I've been using a Fuji GA645Zi for a few months, which is a great portable medium format option, perhaps for more casual use than the RZ. I ditched all of my medium format SLR gear (RB67) years ago in favor of a Mamiya 6 and have never looked back. My mamiya 6 is in fact by far my most used camera. With three perfect lenses (scary sharp), a brilliant finder (very large and bright), and handling like a 35mm slr, it is nearly the perfect camera in my opinion. 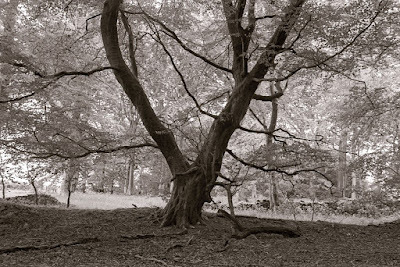 The mamiya 6 (or 7) is definitely worth consideration! By the way, I love your essays-you have great voice in your writing! I think you should keep it I have like you an OM2n and the Blad, the lenses for the Olympus being 28,50,100 all zuikos, the Blad the 50,80,and 150 would I sell them ? hell never, you will have to prise them from my dead body. There is something so compelling with a 6x6 neg and god they render like no other, the zuikos are equally stunning. I have shot most formats throughout my time with photography and stupidly sold my original Blad and OM system, now I have been reunited it has made such an impact that my digital kit may just be visiting evil bay. The only other 6x6 I was ever desirous of was yours, inspired in said desire by the late and bloody great Barry Thornton (genius) but it's an itch that i can live without scratching. Don't sell either of them.